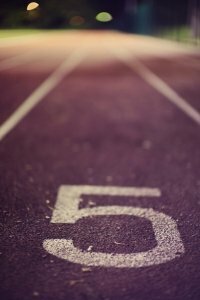 5k running tips, tips for running 5k. Whether you are new to running or want to improve your 5k time, check out this page to learn more. Many of us start their running career by signing up for a 5k race. The 5k is short enough to be a good goal for beginning runners. 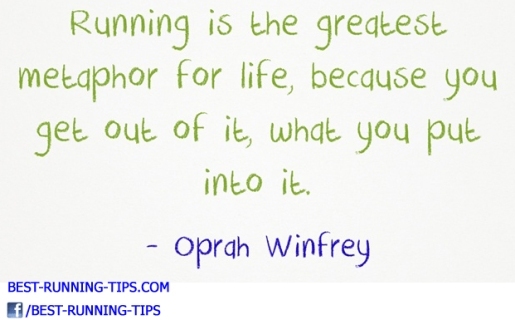 Yet it is long enough that most people do need some training before they can run 5k without stopping. This page will explain to you how to get to finishing a 5k race. However, some of us, want to not stop at finishing a 5k. You may want to make your next 5k race your best 5k yet. If that's the case, then check out this page as well. 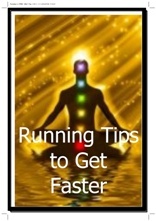 It will explain the fundamentals behind a good 5k race with some great 5k running tips. Alright, let's first get into finishing a 5k race by running it from start to finish. However, if you do need to take walking breaks, that's absolutely fine as well. Now, everybody can enter a 5k race. Don't be worried that you'll end up last of the pack. In every 5k "fun run" that is held around the world, there are always people of every ability. There are people there who walk the whole thing. And there are people who go so fast that they are done in 15 minutes. Don't worry about looking bad, not being good enough, etc. Just sign up for the thing and start training! Now a good way to start training for a 5k run, when you don't have a background in running, is by doing a run/walk running program. This site offers some good run/walk programs. 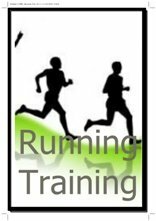 Check out the beginner running programs page. Now, for a beginning runner, finishing a 5k, after some training, will usually take about 30 minutes. Some go faster, you may go slower, don't worry about that too much. So Beginner Running Program 3 is a great program, getting you from 0 to 30 minutes of running in 12 weeks. At completion of this program you should be able to, or be very close to being able to run a 5k from start to finish. And experience learns that even when you take longer than 30 minutes, the adrenalin on race day usually sees you through to the end without having to take walking breaks. The rest of this article will focus on running your best 5k race, assuming that you are already able to comfortably cover the distance. Now, a 5k race, although you run it at a fast pace, relies mostly on a strong aerobic base. You can be a very fast runner, but without the base you will be nowhere. It's no use being very fast for 2k. You need to be fast the whole 5k. That's why you need a proper amount of base running. The base running phase can be as long as you wish, but should at least be a month or so. Ideally longer. Now, many people confuse base running with boring running. Just running at the same slow pace all the time. That does not necessarily have to be the case. Going into the second phase of your training, you are going to add shorter, more intense runs to your workout. 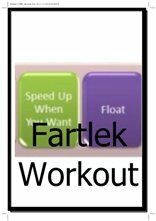 These can be fartlek, intervals or tempo runs. This is a tricky stage. When intensity increases, so does the chance of injury. So make sure your hard days are followed by easy days. An easy day can be anything from complete rest to an easy run to some type of cross-training. You may not realize, but rest is vital in improving your running performance. This second phase of your training usually lasts about two months minimum, but can be a bit longer. The longer it is, the more important it becomes that you take into account your resting requirements. The shorter the race, the larger the need is for interval training. 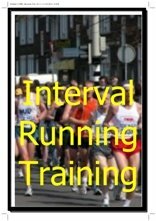 Whereas many of us can prepare for a marathon without ever doing intervals, a fast 5k NEEDS interval training. Intervals help you get used to running faster than race pace. Do them once a week for two months and when it gets to race day your race pace will be much better to handle. In addition to that your tempo runs are vital. Tempo runs help push up your lactic acid threshold. 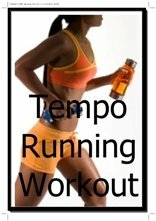 The tempo running page explains this in more detail, but it basically means that you'll be able to run faster without getting that heavy feeling in your legs. Also add in a weekly tempo run session. The rest of the time, do some easy / long runs and cross training. So, even though this is the fast phase, not every training run needs to be fast. You'll get the best results when you train with a variety of speeds. In the last month of your race preparation, you will want to stick to the faster workouts discussed above. 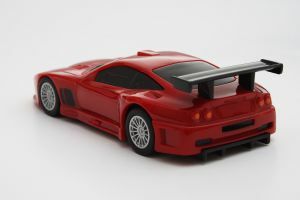 But you will also want to do some goal pace running. This will be an excellent test to see if you have a chance of hitting your goal time. Replace one of your faster workouts with a goal pace workout. In my opinion it is best to alternate between dropping an interval session one week, then dropping a tempo session the next week. Sort of keeps things in balance. Everybody likes different goal pace sessions. I personally think that something like 3 x 1 mile with short rest is quite good. It doesn't provide you with too many rest points in between, reason why I like it. Running a 5k time trial in training is another goal pace session. I usually find it tough to do these without the added stimulation of it being a race. You might find you are the same, so a 5k time trial that is about 10-20 seconds of your goal time may be a good sign! When you use these 5k running tips, you'll have a pretty solid foundation. Although there are hardly any guarantees in life, this type of approach will give you a good chance to running a great 5k! Have a Question about Running a 5K? Do you have a question about running a 5k? 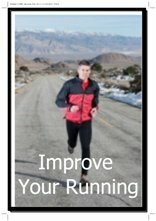 Ask it and I and other visitors to best-running-tips.com can give you advice! IMPORTANT: Make sure you provide sufficient information. What do you want to know, what are your current circumstances, are you already doing exercise/running at the moment, if so, how much, how often, etc., etc. The more information you provide, the better answer you get. Questions of only 1 or 2 lines will normally be deleted because it is simply too hard to give a good answer. IMPORTANT: Make sure you provide sufficient information. What do you want to know, what are your current circumstances, are you already doing exercise/running at the moment, if so, how much, etc., etc.